Abner Doubleday didn't invent baseball but, if he had, Sunday was what he had in mind. On a sunny Sunday afternoon at Security Bank Ballpark, the RockHounds defeated the Frisco RoughRiders, 4-1, in a quick, well-played game that included big swings of the bat ... outstanding pitching and errorless (and at times spectacular) defense. The 'Hounds scored on a bases-loaded wild pitch (one of the game's very few miscues) in the second and built the lead to 3-0 in the third on doubles from Dairon Blanco, Luis Barrera (RBI), and Nate Mondou (RBI). James Naile allowed one run over seven innings for the win, backed by scoreless innings from Norge Ruiz (hold) and John Gorman (save). Barrera ripped a solo home run to right field in the eighth, providing a key insurance run as the RoughRiders threatened in the ninth with two runners on base. Despite Sunday's defeat, Frisco shared the league's best record at 8-2 and won the tightly- contested series, 3-games-to-1. The 'Hounds, meanwhile, snapped a three-game slide and won for the first time at Rocky Town. The RockHounds' homestand continues with a three-game series (Monday through Wednesday) as Amarillo comes to town. The Sod Poodles, the former San Antonio Missions, are the first Texas League franchise in Amarillo in 37 years (Gold Sox, 1982). The clubs played exceptional defense over the four-game series, committing a combined total of just three errors. Sunday's game saw tremendous plays including RockHounds right fielder Greg Deichmann's sliding grab of a foul ball down the line and second baseman Nate Mondou's diving stop and throw to deny Brendon Davis. That play came just after Davis, Frisco's shortstop, robbed Edwin Diaz and a brilliant play in the hole, with a pivot and midair throw across the diamond for the out. Luis Barrera, who missed virtually all of four games (right shoulder) had an RBI single in his return to the lineup Saturday night and followed that with a 2-for-4 game Sunday with a double, solo home run, two RBI and a stolen base. He was the only RockHound batter with a multiple-hit game Sunday. 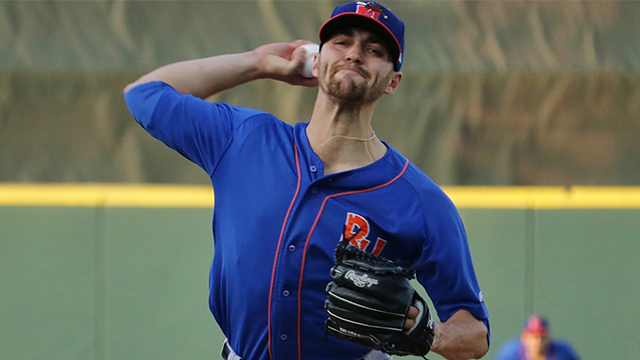 In two starts against Frisco, the league's top club, James Naile has allowed one run in 13 innings (a 0.69 ERA). - Radio: NewsTalk 550 with Bob Hards ... airtime 6:15 p.m.